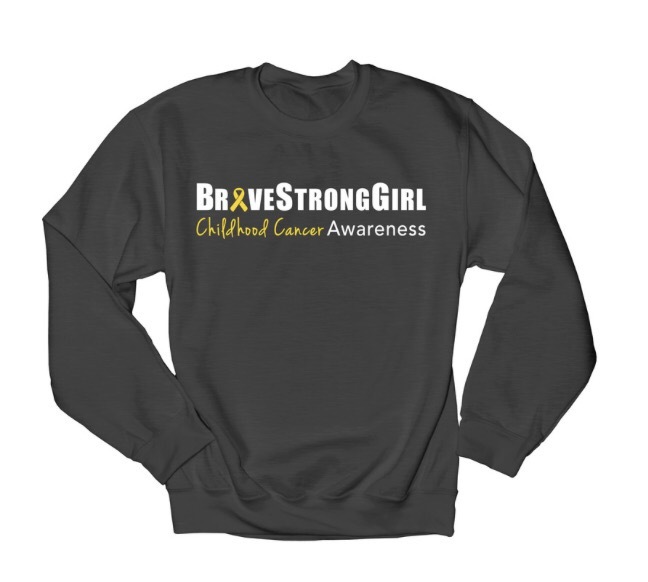 A few family and friends wanted to order new BraveStrongGirl shirts so we launched a new campaign. The shirts are available in dark gray or black. Available styles: tshirt, long sleeve shirt, hoodie, crew neck sweatshirt, baseball, youth. The campaign is open for seven days. Orders will be received between October 3rd and October 10th. There is a $5 flat fee for shipping. Proceeds will benefit the St. Baldrick’s Foundation.